The Big Day Out is back in 2011 with the biggest and most diverse lineup ever. As well as the many incredible first timers on offer, the Big Day Out is welcoming back several iconic BDO veterans. From the heaviest to the sweetest sounds in the world today, this will be a sensory overload not to be missed. Featuring Tool, German industrial metal act Rammstein, M.I.A, Lupe Fiasco and more. Plus there’s a big contingent of Australian artists like John Buttler Trio, Angus and Julia Stone, Bliss N Eso, Blue King Brown, Pnau and heaps more. As a part of Triple J unearthed six bands would have the chance to open the Big Day Out in their respective states (two bands for Sydney to open either 26th or 27th show) and they’ll each be paid a $750 performance fee. Tracks had to be uploaded by November 7th with the winners being announced last Friday. 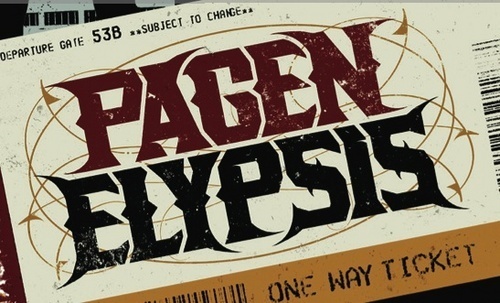 We have to give a big massive shout out to all the Pagen Elypsis Lads for winning the Adelaide leg of the competition. Be sure to check these guys out, you will not be disappointed.